A symposium honoring the work and life of Frank A. Moretti, late executive director of the Columbia Center for New Media Teaching and Learning (CCNMTL) and Professor of Communications at Teachers College, Columbia University, will be held Monday, November 18, 2013 at Columbia University. 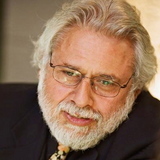 Titled Frank A. Moretti: A Classicist as Educational Innovator, the symposium will explore Moretti’s career as a leading theorist and practitioner in the use of digital technology for education, focusing on his work at The Dalton School and at Columbia. The symposium will take place 9:00 AM - 12:30 PM in Columbia’s Faculty House; a memorial will be held the same day at 3:00 PM in St. Paul’s Chapel at Columbia University. Both events are open to the public. To RSVP for the symposium, please visit the event page. No RSVP is needed for the memorial service. For further information regarding this event, please contact Courtney Lockemer by sending email to c.lockemer@columbia.edu or by calling 212-854-7783.